Impressive CUSTOM WATERFRONT HOME built by Fero Construction. 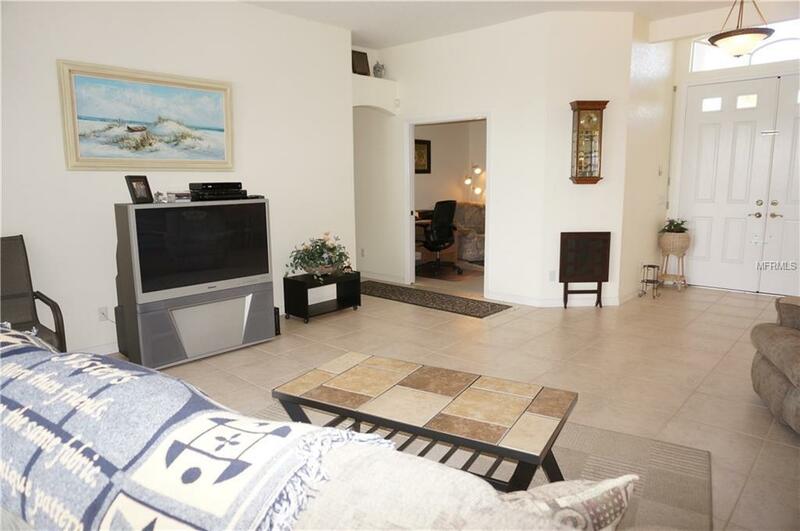 **ORIGINAL OWNER** Located in desirable deed restricted PUNTA GORDA ISLES. Powerboat access to Charlotte Harbor and the Gulf. 80 foot concrete seawall, concrete dock and 10,000 lb. boat lift. 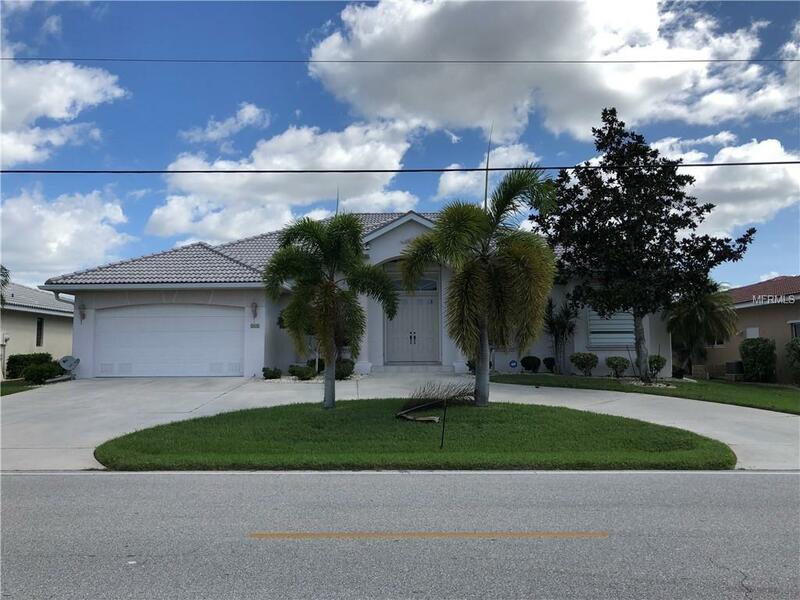 This spacious light and bright home offers an open and split bedroom floor plan with Great Room, separate Dining Room, well appointed Kitchen, Office and Inside Laundry. The Kitchen features solid surface counters, built in desk, breakfast bar, large dining area with aquarium glass overlooking the pool and water, two pantry closets. 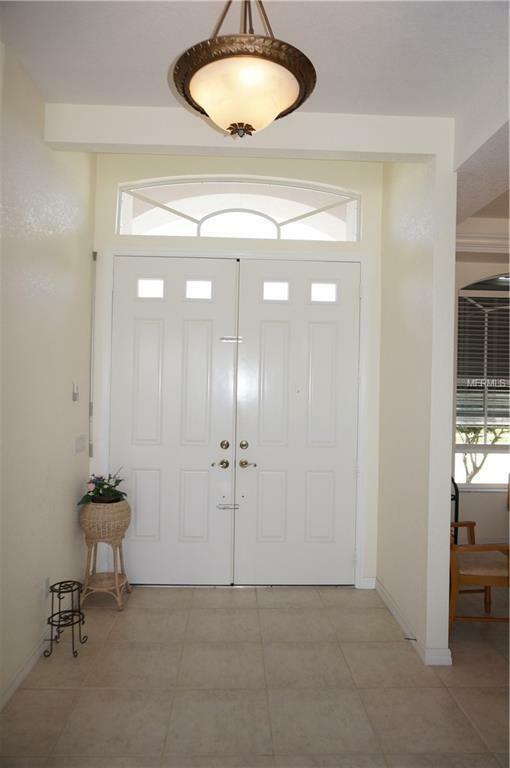 The spacious Master bedroom suite offers two walk in closets, lanai access and private bathroom with garden tub, large walk in shower and dual sinks. There are two additional bathrooms and the guest bathroom has a shower. There is lanai access from the guest area. 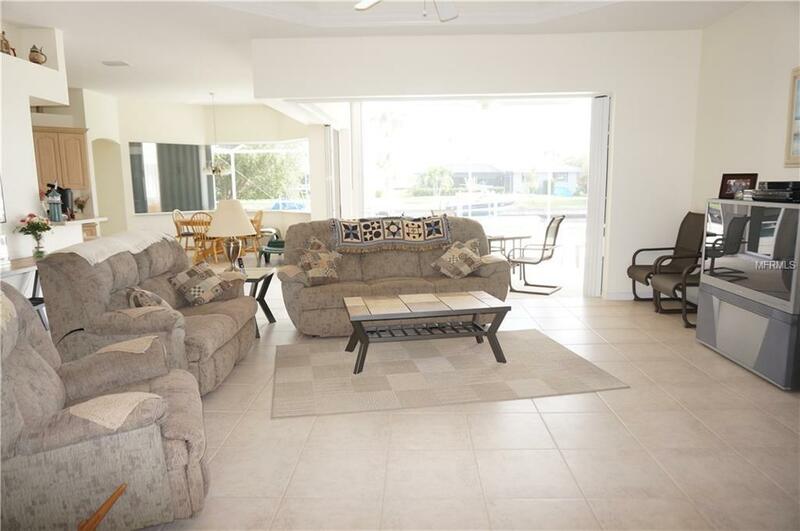 Your living space extends to the screened lanai and pool area with large covered area, cool deck, spacious open deck for sunbathing and inground heated pool with waterfall. Fabulous view of dock, lift and water. Other features include newer A/C, newer HWH, double tray ceiling in Great Room, double door entry, irrigation system, security system, manabloc plumbing, hurricane shutters, center closing pocket doors to Office, disappearing edge sliders from Great Room to lanai, barrel tile roof, circular driveway Minutes from Fishermen's Village, Golf and historic downtown Punta Gorda shopping dining, medical care, waterfront parks, fishing piers, art galleries and more!